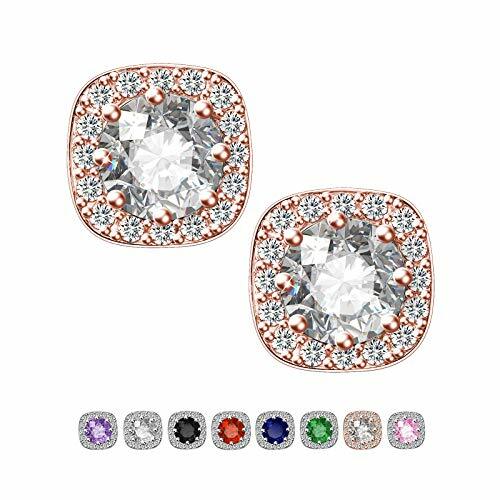 SWEETV Rose Gold Bridesmaid Earrings Studs for Women Fashion- Halo Cubic Zirconia Stud Earrings for Wedding, Bridal,Prom,Jewelry Gifts by SWEETV at SCRHI. MPN: SVSAEH1801CP1007. Hurry! Limited time offer. Offer valid only while supplies last.